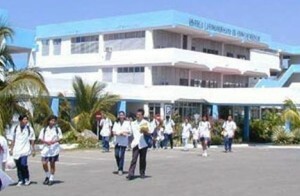 HAVANA - Cuba has graduated 170 doctors from the United States through a project implemented the Latin American School of Medicine (ELAM), which was initiated in November 1999. In an exclusive interview with Cuban News Agency, Zenia Díaz Catalá, director of the general secretariat of the ELAM project, said that since the first graduation in 2005, to date, ELAM has graduated more than 28,500 doctors from 103 countries, free of charge. Dr David Floyd, from the 2016-2017 class, thanked the Cuban leadership, the Cuban people, the teachers and workers of this noble project, an example of integration between peoples for a more humane world. "For me it has been a wonderful experience, I am impressed on the link between study and work, unlike training in the United States and other nations," the young physician stressed. "In Cuba we are trained by touching the patient, that was the greatest thing, the solidarity; in my country no one helps the other student, here teachers support the preparation with excellent behavior," said Floyd, an African-American, who studied in Cuba for seven years, including the pre-doctoral studies. The doctor finished his curricula at the Salvador Allende Faculty of the University of Medical Sciences of Havana, an institution that graduated 52 foreign doctors, 25 of them from the United States, said Dr Suiberto Echavarría, dean of that institution. David Floyd, the father of the recent graduate, conveyed his eternal gratitude and said he was very impressed, pleased and honoured because his son is a doctor trained in Cuba under ethical and moral principles, with a humanist concept. Diaz Catalá explained that currently the ELAM project has an enrollment of 4,969 students from 112 nations in the 21 faculties of the country's medical science universities, of which 83 are from the United States.